Wise Hearing is an independently owned and operated, three-office, practice founded in 1977. We thrive on three principles; Honesty, Integrity, Reliability. 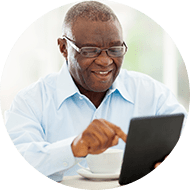 At Wise Hearing, we are dedicated to providing you with the highest level of clinically-oriented diagnostic testing and treatment solutions for better hearing. 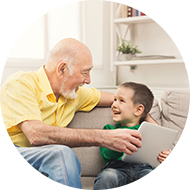 We will evaluate your listening range and recommend the best solution for your particular hearing needs. No two hearing losses are the same. The hearing devices that are suited for a family member, a friend or a loved one is not necessarily the best solution for you. Our focus is on individual customization. To provide quality amplification at reasonable prices. We dedicate ourselves to you completely. We fit you with the best product based on your hearing loss and life style. We pledge that if our recommendation falls short of expectations, we will upgrade you at no additional cost to you. Treat others the way we would like others to treat us, with respect and empathy. We go out of our way to help others. Our goal is to achieve 100% customer satisfaction. Our policies are geared towards providing outstanding service after the sale. We thrive on repeat business and recommendations. What can you expect when you visit one of our locations? The first thing you will notice is that you will be seen at the time of your appointment. We value your time and pride ourselves on being punctual. Next you will be pleased with our warm and friendly office atmosphere. During the consultation and testing you will notice our professionalism. You will also be impressed with our technologically advanced equipment and instruments. The future of our industry is bright. 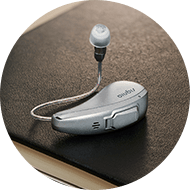 There is amazing technology available in the hearing instruments of today and there is no limits to the technological advances that will be available in a few short years. We at Wise Hearing pledge to always offer the latest cutting-edge technology in Hearing Health Technologies.